Choosing the perfect auto-flowering strain can take a lot of research and time depending on your limitations. We take our top 5 choices, catering for all scenarios and tastes! Auto-flowering cannabis seeds come with a whole host of benefits. 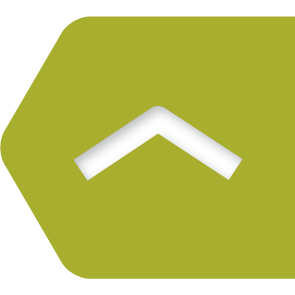 Boasting typically short grow cycles, whilst being versatile enough to be grown indoors and outdoors without compromising yields. 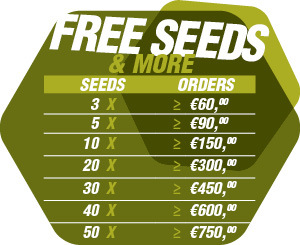 Ideal for the novice or first-time grower, auto-flowering seeds are indica or sativa plants cross-bred with Ruderalis. Cannabis ruderalis is a type of cannabis which gives the auto flowering genes to the strains it is crossed with. Although cannabis ruderalis is naturally low in THC because of its short grow cycle it can effectively be used by breeders to capture the best of both worlds when used with its genetic partners to create a hybrid. Without further a due, Zambeza presents its top 5 auto-flowering strains. The only thing left is for you to decide on which one you should try! Big Bud XXL is quite literally the big daddy of our auto flowering seeds. 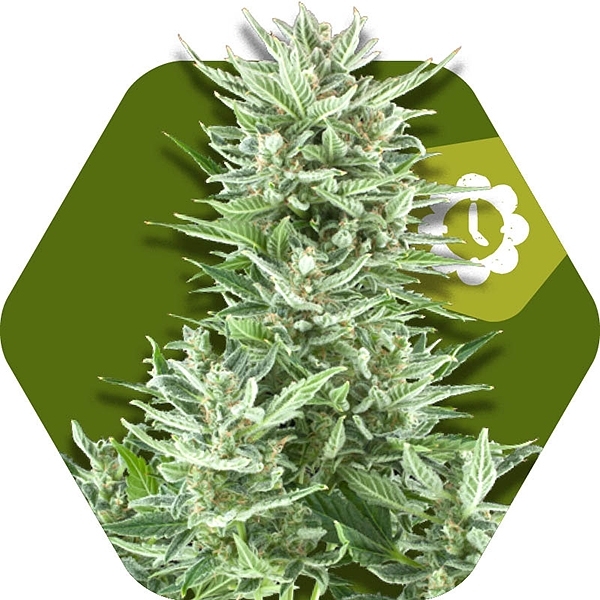 Able to produce big buds in a short period of time, anywhere up to 400-450g/m2 when grown indoors, makes this particular strain highly rewarding for the novice grower. After years of relentless trail and error, this indica dominant strain takes it main genetics from the infamous Ocean Grown Kush (OG Kush). Providing you with that distinct OG flavour, it also brings some distinct spicy aromas to the mix, helping you to relax and unwind as you drift off into the cosmos. If there was a cannabis hall of fame, White Widow would take centre stage. Know for its reliability in producing excellent cannabis, White Widow has been successfully grown and smoked for decades. Although the age-old expression, “If it ain't broke don't fix it” often applies, by combining this proven strain with ruderalis genetics we have created a versatile smoke, useable in all manner of environments. Whether it be to kick-start the day with some creativity or to relax in the evening with its tranquillizing elements, White Widow is your strain of choice. Originating from South Africa, Power Plant XL provides uplifting sativa effects, with an incredibly short life cycle of 55-65 days, good things don't just come to those who wait! A resilient strain, Power Plant XL is well suited to outdoor grow environments were its low-density buds are particularly resistant to mould and difficult climates. Feel awash with calm and an intense stone whilst also benefiting from the uplifting high that the Power Plant genetics bring. Strong and powerful you'll be feeling the effects of this hybrid strain in no time at all. Slow and steady never really won anything so why not have fast, productive and bursting with fresh fruity flavours? AK XL brings all that right to your doorstep with estimated life-cycle of 60-70 days, whilst retaining all the classic traits of feminised AK-47. Hitting you with hints of pine tree, the aroma of auto flowering AK is a refreshing change of pace, still giving that euphoric high that AK-47 is known for. Despite its speed there is no loss of quality with this strain, still producing THC level of 14%. All too often the fear can be that fast growing cannabis strains have to trade potency or bud density to achieve such speed. Green AK XL proves all those stereotypes wrong. With Dutch roots, it's no wonder Zambeza seeds is a lover of all things cheese. Having the best of both worlds make White Cheese Autoflowering a win-win strain. That unique blast of cheesy aroma, originally created by a UK collective group known as “Exodus” brings something truly unique to your smoking experience. Combining the genetics of White Cheese with Ruderalis was an easy and obvious step to take to bring this indica dominant strain to the novice grower. Weed, just like cheese deserves to be shared!